Good information coming from Easy Star Records! From its inception, Easy Star Records have paved the way for progressive reggae to reach a broader audience. Their first reggae tribute album, Dub Side of The Moon, a reggae reimagining of Pink Floyd’s Dark Side of the Moon, was a breakthrough success that established Easy Star Records, the Easy Star All-Stars, and producer Michael Goldwasser at the forefront of modern reggae music. Two years later, they followed it up with Radiodread (2006), a revision of Radiohead’s OK Computer, which earned acclaim from Pitchfork, Rolling Stone, LA Times, and the ultimate endorsement from Radiohead front man Thom Yorke himself. 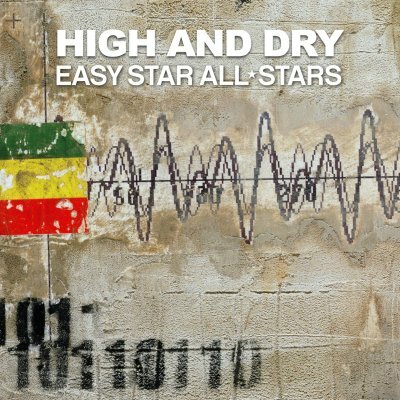 On the album’s 10-Year Anniversary, Easy Star Records is offering a Special Edition release of Radiodread set for release on August 12, 2016. The album features a bonus track, “High and Dry” from Radiohead’s The Bends, performed by GRAMMY-winners Morgan Heritage. Pre-order the album here http://easystarallstars.net/.